Climate change negotiations have not delivered what is needed to stop climate change. Following on from the outcomes of the past two years, the Durban hosted COP17 could be a defining moment for climate activists. At a January meeting of South African environmental, social, trade union, faith community and climate justice organisations, the Civil Society Committee for COP17 (C17) was mandated to facilitate civil society engagement in COP17. The C17 will work towards coordinating joint actions at and in the lead-up to COP17. We hereby invite further participation and involvement from international and South African civil society organisations. Please contact Ferial Adam for further discussion. The Global Day of Action on December 3rd 2011, is a joint action of international and South African civil society to raise awareness and voice civil society concerns. This group is convened by Des D’Sa. 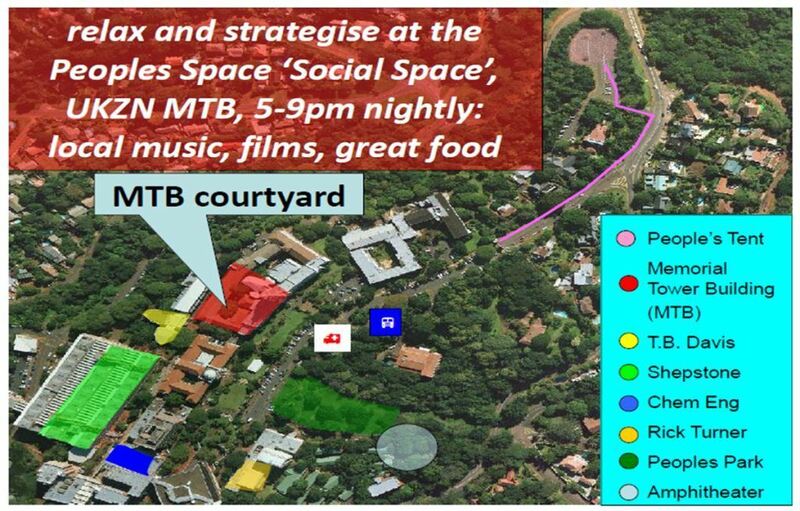 “The Space” is an open and inclusive venue that will accommodate the full spectrum of civil society voices. It will have meeting and caucus rooms, auditoriums, exhibition spaces, arts and expression spaces, and a media centre. This group is convened by Bryan Ashe. An Education and Mobilisation strategy will help strengthen civil society engagement with the negotiations and the development of good solutions. This group is convened by Thembeka Majali. The Media and Communications strategy will raise awareness of COP17 and climate change in the general public and mainstream media. This group is convened by Blessing Karumbidza [who is now also an administrator of this blog]. 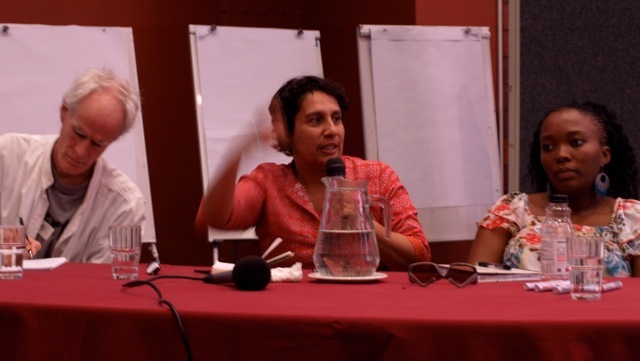 A series of meetings was held by South African civil society during 2010, culminating in a Durban meeting in January 2011 that was attended by 130 representatives from 80 organisations and coalitions. The C17 was nominated at the Durban meeting. The United Nations Convention on Climate Change (UNFCCC) is to hold its 17th Conference of the Parties (COP17) in Durban, South Africa from 28 November to 9 December 2011. This is a government negotiations space where there is limited room for engagement by civil society. The C17 has representation from a broad range of organisations including NGOs, CBOs, faith communities, trade unions and academia. Many of the organisations on the committee are coalitions. I hope after Climate conference ,the world is better.